Noir City's 10th anniversary kicks off with an Opening Night tribute to writer-director Carl Franklin. Join us for a double bill of his neo-noir classics and an in-person discussion between films with the director and Noir City host Eddie Muller. 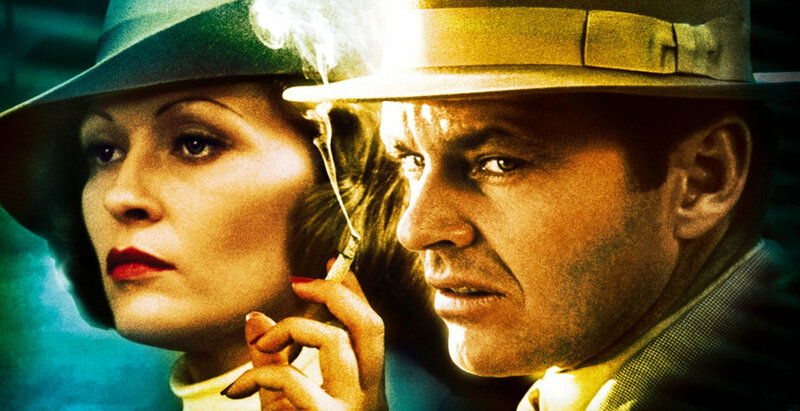 In drought-ridden 1930’s L.A., divorce-specializing private eye Jack Nicholson gets his nose re-arranged—by director Polanski in a memorably nasty cameo—after sticking it into the connivings of John Huston’s family-loving mogul Noah Cross and his mysterious daughter Faye Dunaway, culminating in a darkly operatic finale that brings together all the players for a showdown in the lawless neighborhood of the title. “I saw Chinatown not as a ‘retro’ piece or conscious imitation of classic movies shot in black and white, but as a film about the thirties seen through the camera eye of the seventies,” Polanski said, and he created both an homage to, and a classic of, film noir (opening with a b&w Double Indemnity vintage Paramount logo), as well as an examination of the birth of Los Angeles, with the stolen water rights of the actual Owens Valley War the midwife. The first production from Robert (The Kid Stays in the Picture) Evan’s own banner, Chinatown was originally to have starred his then-wife Ali MacGraw in the Dunaway part and reteamed Nicholson (his first romantic role) with screenwriter Robert Towne, who’d scripted his hit The Last Detail. But in Polanski’s hands, it became more caustic and disillusioned—a post-Watergate, post-Vietnam excursion into the heart of darkness, made with all the resources of a major studio. Amid 11 Oscar nominations (Best Picture, Director, Actor, Actress, Cinematography, Music, etc. ), the screenplay was the only winner, despite—or perhaps because of—Polanski’s revision of the ending, over Towne’s violent objections. In this epic story about love and power, the legendary Egyptian queen tries to use her beauty to conquer the Roman Empire. Notorious for its protracted production schedule and enormous sets, Cleopatra was, to date, the most expensive film ever made; it was a flop for Twentieth Century Fox in spite of its being the top-grossing film in 1963. Behind-the-scenes intrigue also contributed to its status as a colossal cultural event - first, Liz Taylor almost died from pneumonia, and then she began an affair with co-star Richard Burton. Their real-life chemistry intensifies the performances onscreen in this colorful spectacle from a script by Joseph Mankiewicz. The photography is by the great Leon Shamroy (Leave Her to Heaven, Planet of the Apes). Two Audacious Debuts! George Lucas' THX 1138 envisions a bleak, dehumanized future where every person is given pills to quiet emotions and prevent the questioning of authority. In Steven Spielberg’s DUEL, Dennis Weaver is a businessman crossing a stretch of deserted highway, who finds himself terrorized by a malevolent, unseen truck driver. 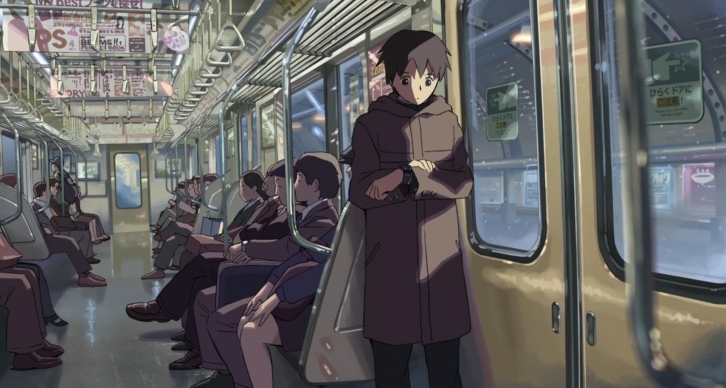 Named Best Animated Feature at the 2007 Asia Pacific Screen Awards, Shinkai’s three-part romantic drama follows protagonist Takaki Tōno from elementary school to adulthood, from the early 1990s to 2008, tracking his relationship with classmate Akari from pre-pubescent friendship to a mutual later-in-life regret of an unfulfilled romance that remains just out of reach. A film rich with longing and wistful regret playing out beneath a watercolor sky, its animation a marvel of sensitive, filigreed detail. Screening as a part of the Metrograph's Makoto Shinkai series. 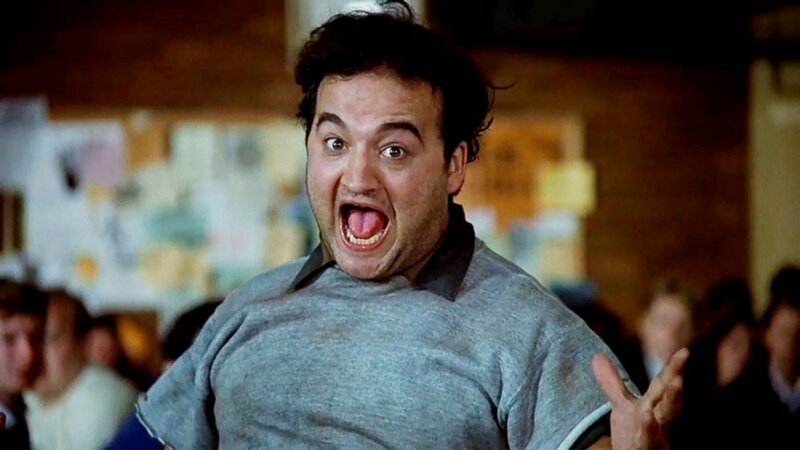 The classic, caustic, controversial, and comedic film that launched John Belushi into international stardom - National Lampoon’s ANIMAL HOUSE. But don’t forget all of those other recognizable faces in there too - Tim Matheson, Peter Reigert, Bruce McGill, Karen Allen, Donald Sutherland, Tom Hulce, Kevin Bacon. The film spent many weeks in Eugene and Cottage Grove and spawned many local stories and careers. In fact, this screening precedes the 40th Anniversary bash taking place in Cottage Grove on the weekend on August 18 - which is looking to break the world record for the largest toga party after losing that title several years ago to a group in Australia. You won’t want to miss this one - “Otis? He stills owes me money!" Deep in the heart of Jakarta’s slums lies an impenetrable safe house for the world’s most dangerous killers and gangsters. Until now, the run-down apartment block has been considered untouchable to even the bravest of police. Cloaked under the cover of pre-dawn darkness and silence, an elite swat team is tasked with raiding the safe house in order to take down the notorious drug lord that runs it. When a chance encounter with a spotter blows their cover and news of their assault reaches the drug lord, the building’s lights are cut and all the exits blocked. Stranded on the sixth floor with no way out, the unit must fight their way through the city’s worst to survive their mission. Two great musical masterpieces on the big Big BIG screen, back-to-back on 35mm film! We're kicking the night off with the quirky 1986 musical comedy LITTLE SHOP OF HORRORS, followed by the 1961 award winning classic WEST SIDE STORY. Join this fantastic Drive In (and music!) magic under the stars! Keep an eye on their schedule too. They do some brilliant cult movie nights. The 80s were high time for buddy cop movies, and though James Glickenhaus’ Shakedown tends to get overlooked in favor of 48 Hours or Beverly Hills Cop, it rides comfortably along with those films as a prime example of the genre and wholly enjoyable escapist entertainment. Shakedown’s premise is simple; a mild-mannered public defender (king of deadpan Peter Weller) teams up with a renegade narcotics agent (master mustache-wielder Sam Elliot) to clean up the New York streets as well as the corruption in their respective institutions of law. By cleverly intercutting courtroom scenes with cartoonish, high octane action sequences, Glickenhaus gives the film an irresistibly rollicking pulse, allowing his leads to play to their comedic strengths while establishing a strong onscreen rapport. With Patricia Charbonneau, Antonio Fargas and Blanche Baker. Dennis Hopper Double Feature! 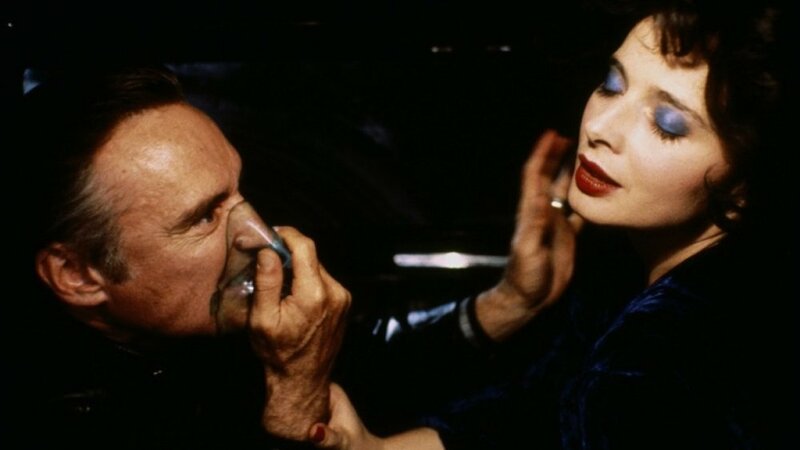 In BLUE VELVET, the actor is one of the scariest villains in film history, menacing squeaky-clean suburbanite Kyle MacLachlan and tormented torch singer Isabella Rossellini. 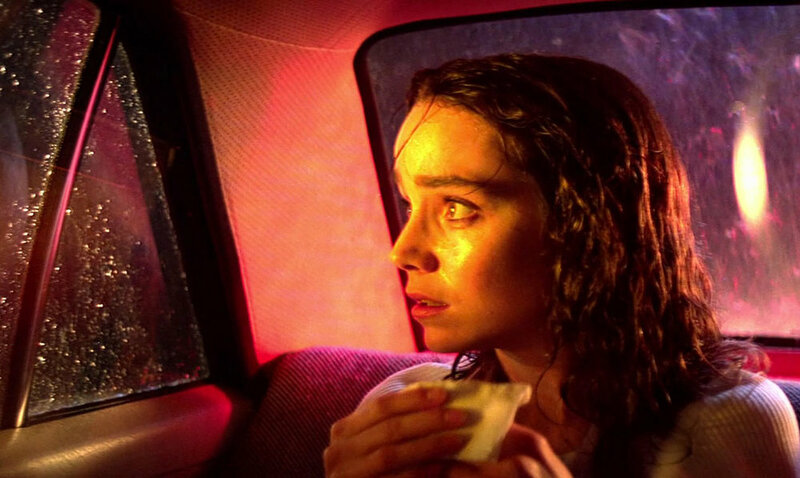 In RIVER'S EDGE, Hopper is a visibly damaged adult interacting with disaffected teens involved in a young girl’s murder. Introduction to RIVER'S EDGE by actor Tom Bower. Holy Bat Bomb - In 35mm! George Clooney stars as the mysterious caped crusader in this fourth installment of the blockbuster "Batman" saga. This time he's up against the cold-blooded Mr. Freeze (Arnold Schwarzenegger) who has joined forces with femme fatale Poison Ivy (Uma Thurman) to wage a deadly crime spree against the citizens of Gotham City. Armed with a new array of high-tech crime-fighting gear, Batman enlists the help of his daredevil partner, Robin (Chris O'Donnell), and their new secret weapon, Batgirl (Alicia Silverstone). It's an action-packed thrill ride as the forces of good and evil clash in the most spectacular Batman ever produced. One of the most iconic movie musicals of all time, WEST SIDE STORY brings Leonard Bernstein and Stephen Sondheim’s version of Romeo and Juliet to the big screen. With Natalie Wood and Richard Beymer playing the star-crossed lovers and a movie-stealing performance by the great Rita Moreno. Grease is based on Warren Casey’s and Jim Jacobs’s 1971 musical of the same name, and in the United States, it is still the number #1 highest-grossing musical, to date. Its soundtrack album has sold over 28 million copies worldwide and features two Travolta/Newton-John duets, “You’re the One That I Want” and “Summer Nights”, which in the U.K. were both number one hits and are still among the 20 best-selling singles of all time. The movie’s title song was also a number-one hit single for Frankie Valli. Before John Travlolta – Henry Winkler, who was playing Fonzie on Happy Days, was originally chosen to play Danny, but having twice already played similarly leather-clad 1950s hoods in 1974’s The Lords of Flatbush as well as Happy Days, turned down the role for fear of being typecast. Singer Olivia Newton-John, cast at Travolta’s urging, had done little acting before this film. In 2008 it was selected by Empire magazine as one of The 500 Greatest Movies of All Time. In this classic MGM musical, three sailors race across New York City trying to find love before their 24-hour leave runs out. Though only some of Bernstein’s tunes were used, the undeniable highlight of the film is his “New York, New York” sung by stars Gene Kelly, Frank Sinatra, and Jules Munshin against the backdrop of real-life New York City locations. Based on the classic 1960s anime, Speed Racer is a hyperkinetic, ultra-stylized live-action cartoon come to rip-roaring life, courtesy of The Wachowskis, creators of The Matrix! Fearlessly hurtling down the track, careening around, over and through the competition in his thundering Mach 5, Speed Racer (Emile Hirsch) was born to race cars. But when Speed turns down a lucrative offer from Royalton Industries, he not only infuriates the company’s maniacal owner but uncovers a terrible secret–some of the biggest races are being fixed by a handful of ruthless moguls! The only way for Speed to save his family’s business and the sport he loves is to beat the evil E.P. Arnold Royalton (Roger Allam) at his own game. With the support of his family, including Pops and Mom Racer (John Goodman and Susan Sarandon), and his loyal girlfriend, Trixie (Christina Ricci), Speed teams up with his one-time rival, the mysterious Racer X (Matthew Fox), to win the race that took his brother, Rex Racer’s, life: the death-defying, cross-country rally known as The Crucible! Featuring stunning SFX, a neon candy-colored aesthetic and relentlessly thrilling racing action, Speed Racer is a spot-on homage to the beloved ‘60s TV series that will take your breath away! This boldly cinematic trio of stories about love and loss, from Krzysztof Kieślowski was a defining event of the art-house boom of the 1990s. The films are named for the colors of the French flag and stand for the tenets of the French Revolution—liberty, equality, and fraternity—but that hardly begins to explain their enigmatic beauty and rich humanity. Set in Paris, Warsaw, and Geneva, and ranging from tragedy to comedy, Blue, White, and Red(Kieślowski’s final film) examine with artistic clarity a group of ambiguously interconnected people experiencing profound personal disruptions. Marked by intoxicating cinematography and stirring performances by such actors as Juliette Binoche, Julie Delpy, Irène Jacob, and Jean-Louis Trintignant, Kieślowski’s Three Colors is a benchmark of contemporary cinema (Criterion). In a small town in Maine in 1957, young adventurer Hogarth is obsessed with things extra-terrestrial. He’s the only one to take seriously a fisherman’s frantic reports of the landing of a metal giant, and his search is rewarded by the sighting of a metal-crunching, electricity-immune 50-foot iron giant in the forest. A friendship between boy and giant grows, but all the while government agents close in. A beautifully animated intelligent adventure that will delight audiences young and old. **All Program Notes by respective cinemas.